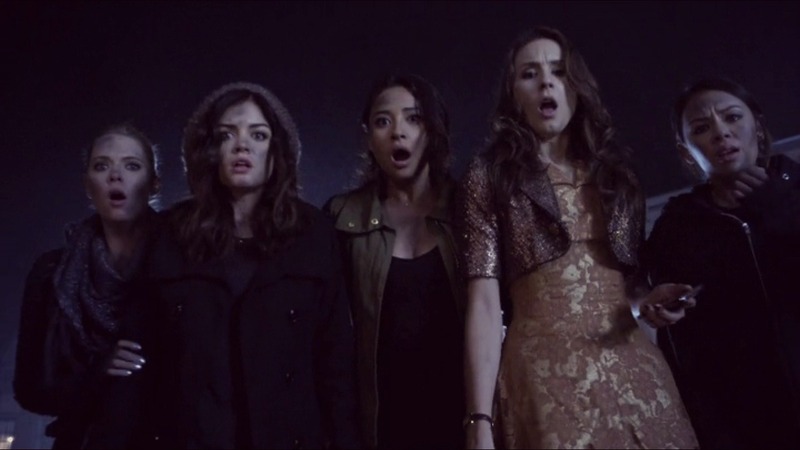 In Pretty Little Liars’ final episode of Season 3, A dAngerous gAme, there are a lot of revelations that really shocked us and even left our mouths hanging. For me, almost everything that happened was a shocker although some things were kind of cliche. It introduced a whole lot of questions like is Toby “Pretty Eyes”? Why does the lady call him that? What does Shana, Melissa, and Jenna up to? What did the pretty liars (and mona) found in the police car’s trunk? and in the final act, who pulled Ali’s body (this is just a clever guess) from the ground? There were tons of questions boggling in our minds right now, i know. But before having guesses, let’s try to tackle the main scenes in the said ep. The title (A dangerous game) just shows how sadistic this “A” is. In fact, the term dangerous can’t even stand to cover it. In A’s mind, there are a lot of “fun” to be had over burning people alive, dragging vehicles out of lakes, and just knocking your alliances out with big shovels. This episode surely moved from mysteriously complex to downright unimaginable. In the beginning of the ep, we knew that Spencer’s back from Radley and is presenting a good front, but the girls are not so sure their friend is fully back after seeing how vulnerable she was a day or so before. In the latter part of the show, they all came to know that Spencer joined the A team, kidnapped Malcolm (and is the reason why Aria and Ezra broke up) just to get Mona’s trust for a really big Sabotage shown in the next scenes. All Keegan Allen fans (including me) surely screamed and shouted and did everything they can possibly do on their own seats when Toby showed up in the diner (yes i feel you) It was such a great feeling that Toby’s back and he’s got Spencer’s back now. Just imagine a hot guy like him show up in the next episodes in Season 4. I’m so stoked already! Finally! Toby and Spencer got the chance to meet up and had an “alone time” with each other. Not to be biased but hey, they’re a pretty sweet couple after all (or may i say, ever since!) I totally loved the part when they finally talked and opened up realizing that Toby’s the masochistic guy who’s doing all the A-work just to protect Spencer (how sweet is that?) Let’s see how their relationship stand through A’s upcoming plans and schemes. Spoby all the way! We all feel bad for her. Even though her love for Ezra is so big but is indeed excruciatingly out-of-hand, having all the distractions and hindrances between them, she finally decided to let Ezra go and make things easier for them (that’s what she thinks). Let’s just wait and see how things will go for her after that massive breakup. EZRIA NO MORE? The end is also a new beginning. Having his career back again (teaching, that is) I think he’s given the chance to do new things in his new life. I mean, yeah, Aria again became his awkward student and I think a lot of things will happen in the next Season. Let’s just see how the story goes. I really like her role because she knows how to play it up. She gets to be Malcolm’s babysitter to crash some time and to earn extra money then she pretended to be “Red Coat” after, just to test Spencer if she’s still on their side of the team. Even though Hanna’s the happy-go-lucky girl in the team, she knows how to be damn straight serious when it’s time to be. It’s so sad Caleb’s not in the finale. Well, let’s just cross our fingers that he’ll show up in Season 4’s first ep and fix his problems with his dad. We miss you, Caleb! Looks like the girls outsmarted her this time but I think she’s back being the ‘victim’ again. Let’s see how she pulls it off together in Season 4! What do we actually want to find out in this episode? WHO IS RED COAT – ALISON OR HER TWIN, COURTNEY? It’s pretty hard to say who’s Red coat between the two. Perhaps there is another more evil “A” leader out there, since Red Coat is actually saving the girls (weird saving them right?) So much for everything getting wrapped up! In the final scene, Ali’s hand is being pulled out (but by whom?) Maybe red coat? One of the liars? Possibilities are endless. Who or What can possibly be the reason why the Liars and Mona were terribly shocked upon seeing what was inside of the car’s trunk? Could it be a corpse? A dead person? A warning? I know we’re all stoked for this and we surely are gonna get the answer right away according to Troian Bellisario in the first scene of Season 4 Episode 1. Could Mona be possibly joining the Liars this time? Will they trust her? Will she trust them back? I don’t know but this will surely be a great twist in the story! Who started the fire? Let’s just say that A really loves a place getting burned up (with people in it) yikes! 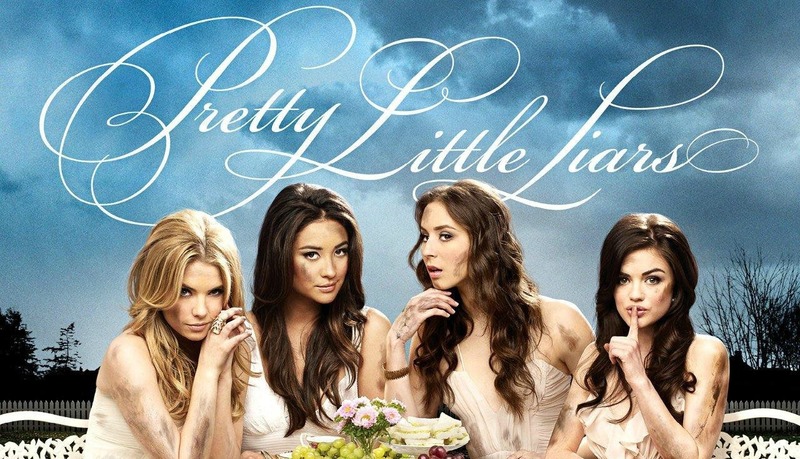 All our questions will be answered in the next Season of Pretty Little Liars. June 11’s the date! Better countdown now PLL fans! Even I can’t wait any longer!